An early detection method for norovirus in B.C. oysters would help minimize the spread of illness and protect small scale growers. A scientist in Campbell River is developing a new method for detecting norovirus in B.C. oysters. B.C. Centre for Aquatic Health Sciences CEO Dr. Jim Powell is working on a "bio-surveillance" tool that would allow growers to detect the presence of the virus before they harvest their oysters. Powell hopes the molecular detection tool will help prevent the spread of the illness and reduce the financial impact on growers if farms are closed due to norovirus. He says often growers don't know if their oysters are contaminated until after the shellfish are harvested and packaged. "So, it's a very reactive measure that then goes back and says 'yeah, you've got norovirus. We're gonna close you down.'" The new test will not replace testing by the Canadian Food and Inspection Agency but could allow growers to delay a harvest until conditions are safe. Powell hopes to roll out the new screening method in the spring of 2019. This spring, five oyster farms were shut down in Baynes Sound off east Vancouver Island after norovirus was detected. At the time, the B.C. 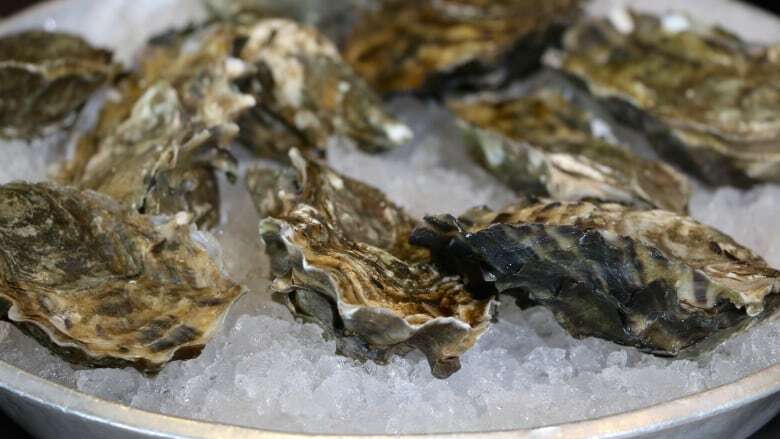 Centre for Disease Control reported about 40 cases of acute gastrointestinal illness connected to eating raw oysters. Several were confirmed norovirus cases. The contamination was blamed on human sewage that was discharged into the water. B.C. Shellfish Growers Association executive director Darlene Winterburn says current testing methods for norovirus are expensive and time consuming, and she is hopeful about the prospect of an early screening method. "That would be priceless. It would be amazing, because today there is no surveillance of this virus in farms in our waters. Because it's way too expensive a task." Vancouver Island University is also developing disease management methods for shellfish. VIU's associate dean of science and technology, Daniela Fischer Russell, says a small team at the Deep Bay Marine Field Station is working on developing shellfish that are resistant to disease. She says the station works closely with nearby oyster growers and sees the financial impact of closures on the small-scale operations. "Because a lot of the producers are quite small, they suffer very deeply from these issues of pathogens affecting their oysters"
Island Coastal Economic Trust is providing funding for the new "bio-surveillance" method. North Island College and the Ministry of Agriculture are also partnering on the project.